I've been a fan of both Zoom and Tascam and their various recorders for several years. My first handheld audio recorder was the Zoom H4, not the H4n, but the original funky looking, very plasticky, very noisy preamps H4. By today's standards, it wasn't awesome, but it was a pioneering type of recorder with XLR inputs and built-in stereo condenser mics. It was definitely designed mainly for musicians. And by the time the H4n came out and DSLR video revolution hit, the H4n became the first audio device that most low and no budget filmmakers turned to first. Then in 2013, Zoom announced the Zoom H6 with better build quality, interchangeable microphones, and 4 XLR inputs, among a host of additional features. The H6 still seems to me to be aimed at various markets. Musicians are still one of the intended audiences and filmmakers are also clearly another intended audience based on the fact that Zoom offers a shotgun mic module option. I didn't jump on the H6 right at release because I was pretty satisfied with my Tascam recorder at the time (DR-100mkII). Thanks to my friends at B&H Photo, I had an evaluation copy of the H6 for the last four weeks so I've finally had a chance to put it through its paces. Now I feel qualified to answer all the questions I've received along the lines of, "Tascam DR-60DmkII or Zoom H6?" First thing I noticed is that the H6 comes in a pretty decent plastic case along with all of its pieces and accessories. It isn't Pelican case grade, but it is nice to have something to keep everything in one place for storage and travel. By "pieces and accessories" I mean the foam wind cover, the stereo mic module, mid-side mic module, a set of batteries, USB cable, memory card, and a license for Cubase LE. The warranty is a standard one year. For me, when recording audio with devices at this price point (currently $399 USD), the most important thing is audio quality. I already know that the build quality and many other pro features are likely missing. But if it has great audio quality and isn't missing so many other features that it is too difficult to use, then it has achieved its purpose. And I am happy to report that the Zoom H6 produces great audio quality. My focus was the XLR inputs and not the X-Y stereo or Mid Side mic modules. Those might be useful in a pinch, but I recorded with a series of lavalier and cardioid and shotgun mics simply because that's the type of recording I typically do as a filmmaker. 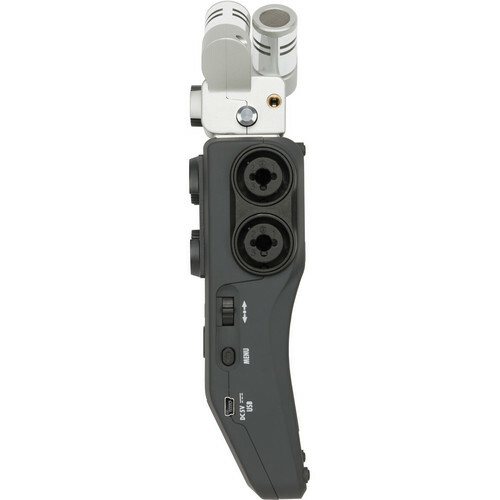 The interchangeable mic system is one of the features that Zoom evidently used to make the H6 more flexible for different types of recording, i.e., musicians and filmmakers. I've never been all that interested in using the mics designed for this purpose. The shotgun mic in particular, sort of makes me chuckle and cringe. Here is another case of a manufacturer covertly suggesting that this is a high quality mic--which undoubtedly it is--which will get you great dialogue audio when you mount it on top of your camera. Positioning a shotgun or any other sort of mic this way will always capture a lot of room and ambience which is not usually the sound that a new recordist is after. They usually want isolated dialogue with as little room and ambience as possible which is only possible when you position the mic 40 - 60cm from the talent. And booming the entire H6 up above your talent is possible, but probably not the best position since you'll have a bit of work on your hands to start and stop the recordings. So, I'm just not all that interested in the in-built mic or interchangeable mic modules. I'm not saying they're useless. To the contrary, I think they're very useful for a lot of people. They just don't fit the way I personally work or the way that most film sound people work and I don't want to spend a lot of money on something I won't use. All that aside, I was really impressed with the sound quality. Zoom has come a long way since the days of the H4 and H4n in terms of clean gain. I measured a practical noise floor of -60dB. By practical noise floor, I mean that after recording dialogue, I loudness normalized the stereo clip to -16LUFS and then measured the average RMS amplitude of a section of "silence". -60dB is great. This is on par with the Tascam DR-60DmkII and my good old Focusrite Saffire Pro 24DSP audio interface and even the Sound Devices USBPre 2 audio interface. If you're interested in hearing the H6 compared to the Tascam and Sound Devices, we compared them last week here. The build quality is unquestionably a step up from the original H4 and even a step up from the H4n. The body feels like it is covered in a high grade rubberized material. The heft of the device feels very solid. No creaking cheap plastic here. The mic modules feel like solid metal. On the previous Zooms, they didn't feel nearly this substantial and durable. It genuinely feels to me like if I dropped the H6, it would bounce and absorb the shock without sustaining any damage. Since this was a review unit, I didn't actually confirm that, but the build quality felt quite refined and durable. The color screen looks impressive. But alas, this seems like a weak point to me. It looks very pretty but it is hard to see unless you have it at just the right angle and it is very difficult to see outdoors in direct sunlight. This is not a deal-breaker unless you shoot a lot outdoors in direct sunlight. I don't, but some do so I though this was worth mentioning. Indoors, the screen is great. Just about the right size and easy to see if you're looking straight-on. Not so easy from a wider angle. The fader knobs are nice, I think nicer than on the Tascam DR-60D and 70D units, more solid feeling and very smooth. The buttons allow you to quickly arm which of the 6 tracks you want to record and with the newest firmware, also allow you to solo monitor a track which is super helpful to solve any problems when recording several mics at the same time. Neither the Tascam DR-60 or 70D allow you to do that. This is one area where Zoom is pretty strong. They have a much better track record than Tascam at adding new features to their recorders via firmware updates. Tascam almost never does that. The Zoom H6 can also act as a bonafide audio interface. This means that you can connect it to your computer via USB cable, hook a mic up to the H6, and record computer screencasts, for example. The Tascam recorders cannot do that. So there's another bonus! You can also monitor with headphones while you're doing that. One thing I don't love about the Zoom H6 is that lack of buttons or controls for other settings. And that jog-dial that you use to navigate through the menu? Ugh. While it is beefier than it was on the original H4 and even the H4n, still don't love it. It feels flimsy and it is not conducive to running quickly through the menus, at least compared to the dials on the Tascam recorders. It isn't a deal breaker, in part because you don't need to go into the menus a lot on the H6, but it is never a pleasurable experience to menu dive with it. Need phantom power. Ugh, Menu dive. I'm being picky here and this is not a deal breaker. But I think that Zoom can do better next round and it is time to ditch that job-dial. 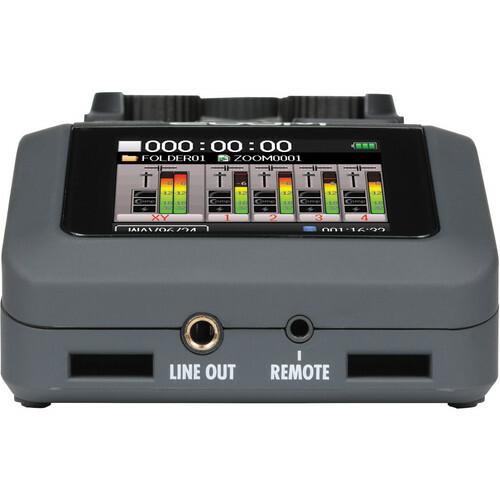 Battery life is where the H6 shines relative to the Tascam recorders. I get more like 6 hours when phantom powering mics. The DR-60DmkII is still around 3 hours. There is also a 3.5mm input so you can use those lavalier mics with 3.5mm (mini stereo jack) plugs. There's also a 3.5mm line out so that you can send the captured audio into your DSLR or mirrorless camera and avoid syncing sound during editing. So overall, those are my impressions. Would I buy one? Yes, it is worth every penny of its price. Would I go with this over a Tascam DR-70D? That's a tougher question. 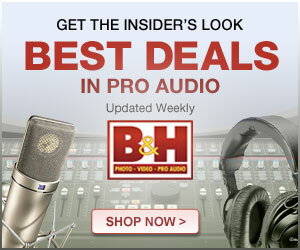 If I needed an audio interface, too, I would go with the Zoom H6 because the DR-70D can't do that. That's where the Zoom shines and one example of how incredibly versatile it is. On the flip side, it always feels to me that the Tascam DR-60 and 70D recorders are a little more purpose built for film makers and a little more ergonomic and quicker to operate. Need phantom power? There's a switch for that, no need to menu dive. And even when you do need to access the menu, the dial is very quick. As always, there are tradeoffs and both are great options and neither is 100% perfect for everyone. For now, I'll stick with my Tascam. If I were buying today, I'd still probably stick with the Tascam DR-70D because I already have a great audio interface for my computer. I hope that was helpful and please sound off in the comments with any questions or insights from your experience!